PVC covered foam mat, 1m x 0.61m, complete with 8in high wedge. The Eveque Speed Bounce tests speed, agility, co-ordination and stamina for all ages. Participants jump two-footed from side to side. The participant jumps two-footed from side to side over a 200mm foam wedge as many times as possible in the allocated time limit. 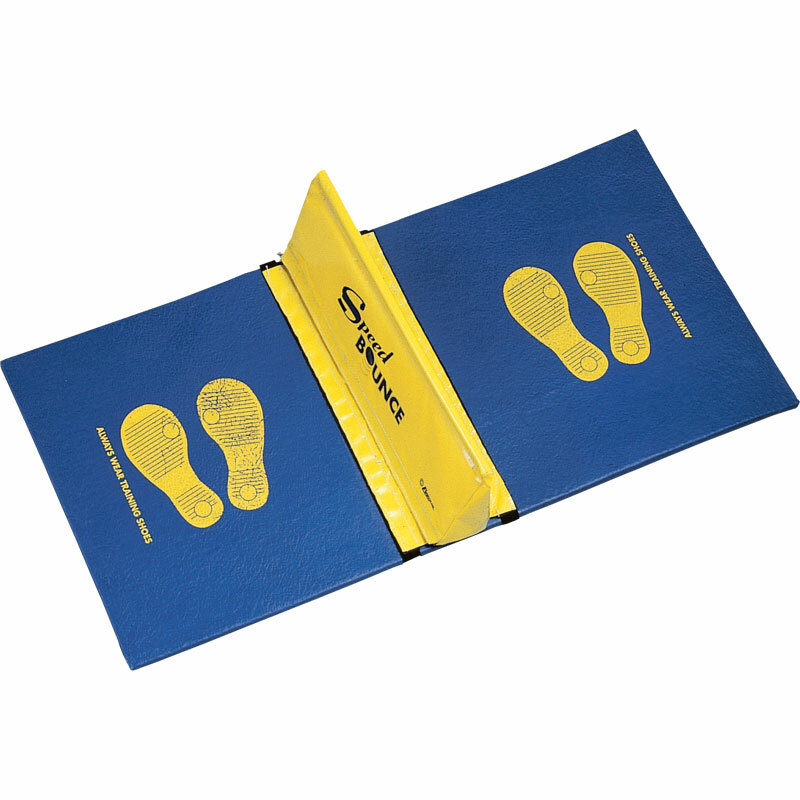 The base mat, 1 metre long and wedge come complete with a laminated activity card. Under 11s, record 50 in 15 sec. Under 13s, record 61 in 20 sec. Under 15s, record 96 in 96 sec. what an excellent product good value for money and great quality,this should be in everybodies store cupboard as its simple to use but highly impacting on users and has a multi usage with some thought the supplies from Newitts i have found to be swift and extremly efficient. to be honest they are the suppilers i look to first for all my equiptment. Fantastic piece of equipment. Easy to break down and keep in confined areas. Very strong materials to make it durable.